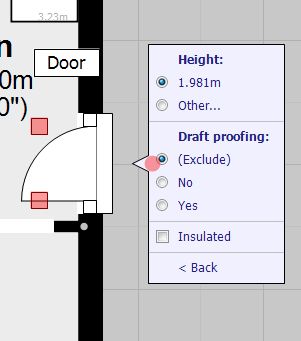 If you are using the DEA version of the software (determined when you create your account – it is the same download) it is possible to record elements of EPC data at various stages of drawing the plan. 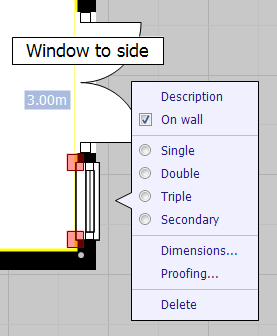 The width of the window will be used as it is drawn together with the height to calculate the window area and make adjustments to alternative walls as appropriate. Please note that glazing areas for non-separated conservatories are treated differently. Please see Non-Separated Conservatories in heat loss and construction for more details. The menu will update accordingly giving you the options to record what you wish. 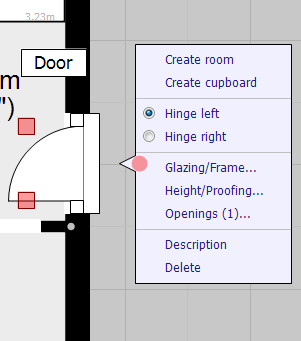 Below in order: main menu, glazing, height/proofing, and openings menus. 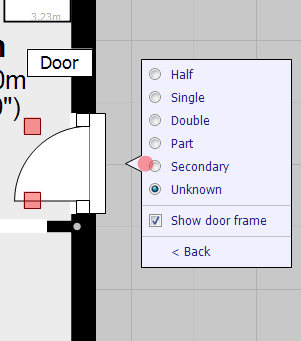 The width of the door will be used as it is drawn together with the height to calculate the window area and make adjustments to alternative walls as appropriate. Radiators, storage heaters, etc will be counted (each counted separately) and the totals available in the EPC report. 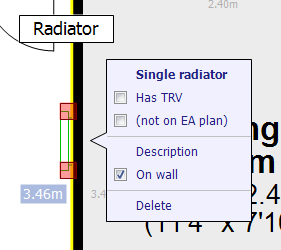 The number of radiators with TRVs is also counted. 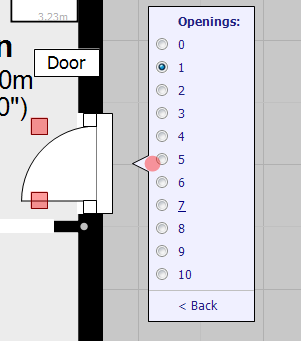 TRVs can be marked by tapping on the radiator and marking the option in the popup menu. 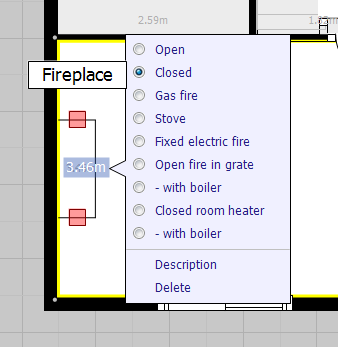 It is also possible to mark the radiators for use on the estate agent plan or not. 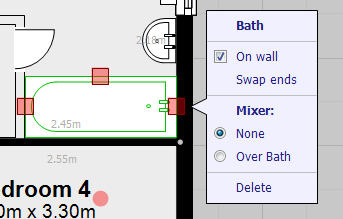 For baths and showers it is possible to record mixers. 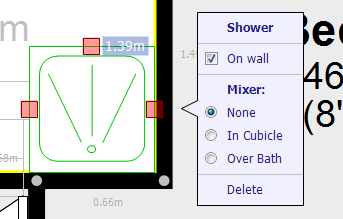 To do this simply select the bath/shower once it has been added to show the popup menu and there will be options visible to record a mixer.